Changes To Our Blockchain + Ad Feature + More! Hey guys! This is the first, of the weekly updates I will begin doing every Friday. While I may not be in the telegram channel that much, I do want you guys to know that we are working non stop on pushing out awesome new features, signing up stars, working on getting advertisers, and planning for the upcoming American political season. I’m so excited about the next 2 years, and can’t wait to push out all the ideas and plans we have. As most of you guys noticed last week, we pushed our ad feature live into the desktop version and the app! We are really excited that ClearPoll can now begin earning revenue, and increase the size of the reward pool and airdrop! We have some test ads running now, to get some analytics and information that we will use to sell ads, and we hope to have paying ads live next week! Translations are coming and are really close! Early next week we should push them live! Once we do that we will be opening official ClearPoll social accounts all around the world! If you’d like to be an ambassador, feel free to reach out! In February, we will also be releasing the shopping section, as well as the ability to upload images, and YouTube links within polls! I will give you guys more information about this in next weeks blogs, but it should open up a lot of fun new options to keep people using the app, or for people to sign up for the first time. One thing I’ve really been thinking about since I took over Clearpoll, was making sure the tokenomics behind POLL made sense, and would work as we continued to scale. In one of the previous blogs I mentioned some changes that we were going to make beginning March 1st. I am going to make one more change in that structure, so here is officially how it will work beginning March 1st. 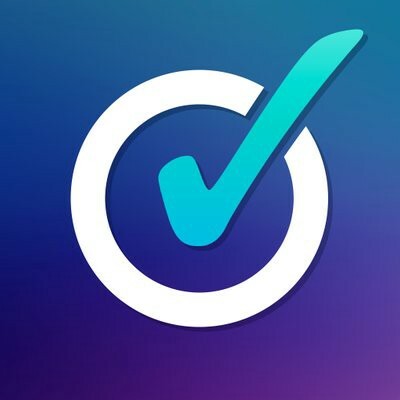 100% of all revenue from ClearPoll will go towards buying POLL on a public exchange. For now, it will be KUCOIN. 40% of all POLL bought from the ClearPoll revenue will go towards the reward pool. 5% of all POLL bought from the ClearPoll revenue will be locked forever. This will be a publicly verifiable transaction on the blockchain. 5% of all POLL bought from the ClearPoll revenue will go towards promotions, influencers, marketing. 25% of all POLL bought from the ClearPoll revenue will go towards ClearPoll operating costs and overhead. These tokens will have a 120-day vesting period. 100% of all revenue from ClearPoll will go towards buying POLL on a public exchange. 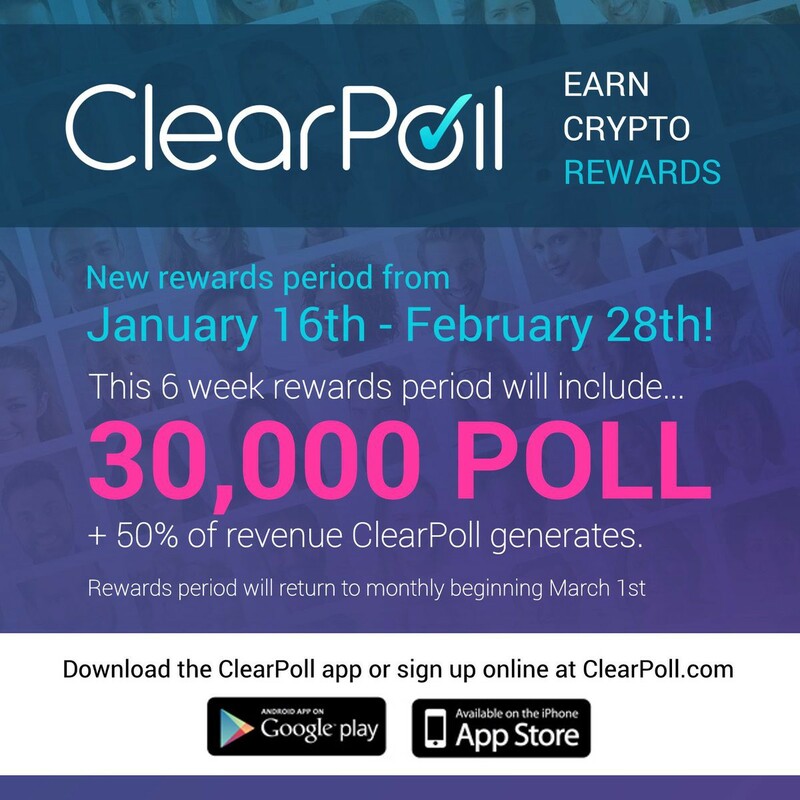 35% of all POLL bought from the ClearPoll revenue will go towards the reward pool. we get closer to this. We will also be releasing a ClearPoll branded block explorer on March 15th! This will allow you to look up the results of any past poll, as well as search any address, transaction hash, etc on the Ethereum blockchain. I’m really excited to get all this stuff finished and released in the next 6 weeks, because we have a long list of other stuff we are waiting to do right after. Bear markets are the best time to build, and were building! Hope you guys all have a great week, and if you need anything feel free to reach out! ps. don’t forget to get all your polls in this month! We have about 27 days left in this reward period!